VOSSBURG, MISSISSIPPI. 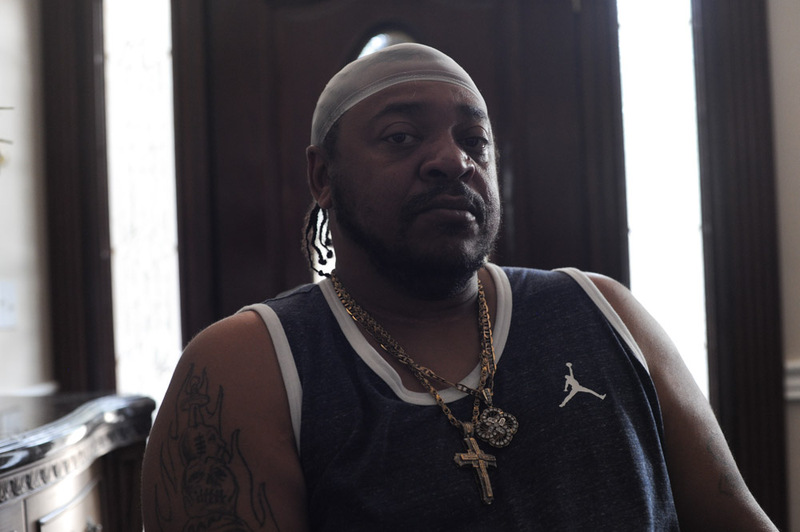 Curtis Milsap, a survivor of police torture carried out by detectives working under former Chicago Police Commander Jon Burge, sits in a wheelchair, the result of a car accident he had shortly after his release from being wrongfully incarcerated for about three years in the early 1990s, in the foyer of his home on June 22, 2016. Milsap was chained to a file cabinet by police and repeatedly kicked and punched, ultimately beaten so badly that he required six months of outpatient care for his testicles while in custody and awaiting trial due to the damage that resulted from the beating he endured and he is also a recipient of a $100,000 reparations check from the City of Chicago.